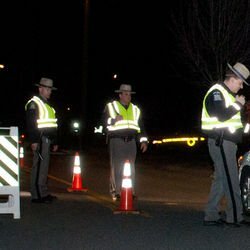 Albany, NY - July 2, 2015 - Governor Andrew M. Cuomo today announced the State Police and local law enforcement will increase patrols to crack down on drivers who violate the law this Fourth of July weekend from Friday, July 3 until Monday, July 6. "As we approach the July 4th weekend, State Police will be out in full force to crack down on reckless behavior and distracted driving on our roadways,” Governor Cuomo said. “I urge all drivers to act responsibly and stay safe in order to avoid needless tragedies this holiday weekend." Last year, the New York State Police issued more than 10,200 vehicle and traffic tickets during the 4th of July weekend. Troopers arrested more than 180 people for DWI and responded to more than 650 accidents, two of which resulted in fatalities. During the enforcement, drivers can expect a number of sobriety checkpoints and DWI patrols. Troopers will also be targeting the illegal sale of alcohol to minors. Law enforcement will also be looking for motorists who are using their phones and other electronic devices while behind the wheel. Drivers should also remember to “move over” for stopped emergency and hazard vehicles stopped on the side of the road when they travel New York roadways. During the campaign, Troopers will be using both marked State Police vehicles and Concealed Identity Traffic Enforcement (CITE) vehicles as part of the operation. The CITE vehicles allow Troopers to more easily identify motorists who are using handheld devices while driving. These vehicles blend in with every day traffic but are unmistakable as emergency vehicles once the emergency lighting is activated. Data shows that the Fourth of July holiday period is especially deadly. According to the National Highway Traffic Safety Administration (NHTSA), during the July 4th period in 2013, there were 512 people killed in crashes, of those 199 (39%) had a blood alcohol concentration of .08 or higher. This campaigns serves as a reminder to New Yorkers that driving drunk not only puts lives at risk, but that those who drive drunk could face arrest, jail time, and substantial fines and attorney fees. The average drinking and driving arrest costs up to $10,000. Arrested drunk drivers face jail time, the loss of their driver’s license, higher insurance rates, and dozens of unanticipated expenses from attorney fees, fines and court costs, car towing and repairs, lost time at work, etc. This targeted enforcement effort is funded by the Governor's Traffic Safety Committee (GTSC) and STOP-DWI, a comprehensive and financially self-sustaining highway safety program that allows participating counties to qualify for the return of all fines collected for alcohol and other drug-related traffic offenses. To build upon the state's ongoing efforts to combat impaired driving and reduce the number of traffic fatalities, GTSC recently funded an educational campaign to remind motorists about the deadly impacts of impaired driving. 78 billboards with a message that reads “Impaired Drivers Take Lives. Think” now appear across the state. GTSC also produced a 30-second public service announcement to air on cable and network television and radio stations statewide as part of the campaign. "New York takes an aggressive approach to combating impaired driving," said Chuck DeWeese, Assistant Commissioner of the Governor's Traffic Safety Committee. "The Fourth of July crackdown, similar to the other statewide enforcement efforts throughout the year, is essential in helping to keep impaired drivers off the road. I applaud the ongoing efforts of the New York State Police and local law enforcement to keep alcohol or drug-impaired drivers off our roadways so that all New Yorkers can enjoy the Fourth of July holiday safely." The New York State Police will also be partnering with the Ontario Provincial Police, Niagara Regional Police, and the Surete du Quebec in the Safety Without Borders Initiative. This initiative is an effort to mitigate safety threats resulting from high traffic volumes in the vacation areas on both sides of the borders in the greater Niagara Region, the Thousand Islands, and the St. Lawrence Montreal Gateway. Safety Without Borders has proven effective in mitigating traffic crashes, injuries, and deaths. Subject: LongIsland.com - Your Name sent you Article details of "Governor Cuomo Announces State Police to Increase Patrols on New York Roadways During July 4th Weekend"